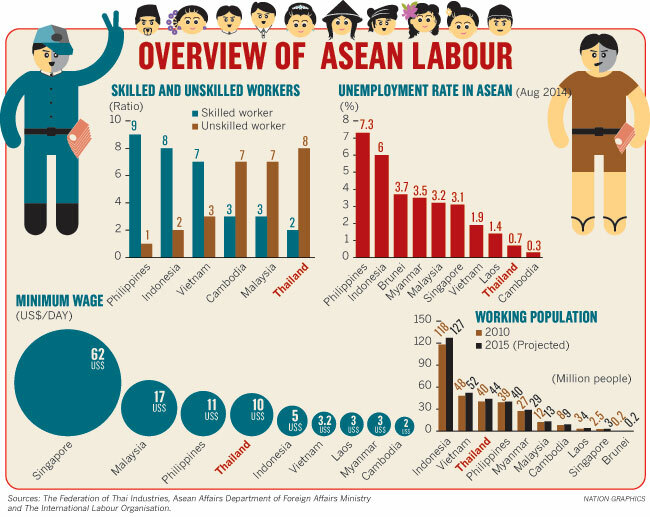 A few days ago Alex Au put up a blog post entitled “ASEAN single market and the free movement of skilled labour”. He mentions my previous post on this subject, “Have Singaporeans Woken Up to the Implications of the ASEAN Agreement on Free Movement of Labour?”. In it I warned that though the agreement looked fairly innocuous this was potentially a serious threat to the wages and working conditions of our PMETs particularly when there were none of the standard employment protections and minimum wage legislation standard in other countries at comparable stages of development. and who comes here, for example, to “supply a service temporarily pursuant to a contract”. Temporary Entry or Temporary Stay means entry into or stay by a natural person covered by this Agreement, without the intent to establish permanent residence. Frustratingly the ANNEX is absent (is this just an oversight or a deliberate attempt by unelected bureaucrats and the PAP to stop us finding out what our government has signed up to without us knowing?). Entry for these intra-corporate transferees is limited to a two year period that may be extended for up to three additional years each time for a total term not exceeding eight years. That would seem more than long enough to pose a considerable threat to wages and employment prospects of our PMETs particularly as, as Alex Au points out, ICTs do not even have to go through the toothless Fair Consideration Framework which was set up by MOM to pay lip service to the fears of Singaporeans that they are being subjected to unfair competition in the labour market. Another loophole is that ICTs do not even need to come from a branch or a subsidiary but from an “affiliate”. While one safeguard is that ICTs need to have worked at the branch, subsidiary or affiliate for a year before they can be considered for transfer to Singapore, this is worryingly lax. Any large employer could set up a recruitment subsidiary or use an affiliated recruiter to put trainees on its books for a year before the employer can bring them in freely under the ICT route. 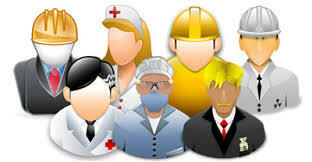 Alex Au mentions that I had drawn attention to the Mutual Recognition Arrangements which so far cover eight professional categories: engineers, nurses, surveying service providers, architects, accounting service providers, medical practitioners, dental practitioners, and tourism professionals. This is another potential Trojan Horse since it allows anyone with a degree from a recognised ASEAN educational institution in these categories to qualify either under the Contractual Service Supplier or the ICT route or even more straightforwardly via the S-Pass or Employment Pass route. While I agree with Alex that free trade and the international division of labour is generally a good thing, we need safeguards for our own skilled and not-so-skilled workers from erosion of their wages and working conditions by workers from countries much poorer than ourselves. While theoretically we can all be better off from free trade this assumes that there is a mechanism to compensate Singaporean workers if they are laid off. But the PAP has set its face completely against any protection for Singaporean workers. We have no minimum wage, no anti-discrimination legislation, no employment protections. The Fair Consideration Framework seems to be disregarded completely now. A foreign journalist whose newspaper has extensive operations in Singapore told me they were not even asked whether they had advertised the jobs to Singaporeans when they brought in two new expatriate hires. Even in the UK with a minimum wage and much better safeguards for workers there was widespread unhappiness over the much greater than expected influx from Eastern Europe that that the then Labour Government completely miscalculated. There was a much smaller gap between wages in Eastern Europe and the UK than there is between Singapore, Indonesia, the Philippines, Burma, Vietnam and Cambodia. Despite the safeguards, the UK has become very much a low-wage low productivity economy like Singapore since 2008. What I find troubling is that there has been a democratic deficit in the process of reaching these agreements. This tangle of agreements has been reached in backroom deals among Asean politicians. Locally, there has been little more than the occasional announcement in the mainstream media, dutifully trumpeting the government’s spin, with virtually no searching questions asked. The lack of enough opposition in parliament means another opportunity for scrutiny missed. Alex Au says it is better to have an honest public discussion and convince the public ahead of signing the agreements than to scramble, hide and backtrack on policies (causing much business uncertainty) when controversy erupts? However he is far too naive about the way the PAP works. There is unlikely to be any backtracking just relentless spin in the State media about the benefits of the deal and a few carrots tossed to appease particularly troublesome opponents who cannot be cowed or intimidated. That is why in my last blog I said that up till now Singaporeans have behaved like turkeys voting for Christmas. The ability of the PAP to ride roughshod over the people and completely disregard democracy is what anti-democratic and elitist bureaucrats in the EU and multinational institutions like the IMF, World Bank and ASEAN like so much about Singapore. Christine Lagarde, the head of the IMF, loves Tharman and called him a “rockstar” because whenever she wants $5 billion or more he will deliver the goods. She need not worry about niceties like Parliamentary approval or democratic processes. No matter that Singaporeans go without free education, health care, child allowances or an old age pension that voters in other rich countries, including her own, take for granted!